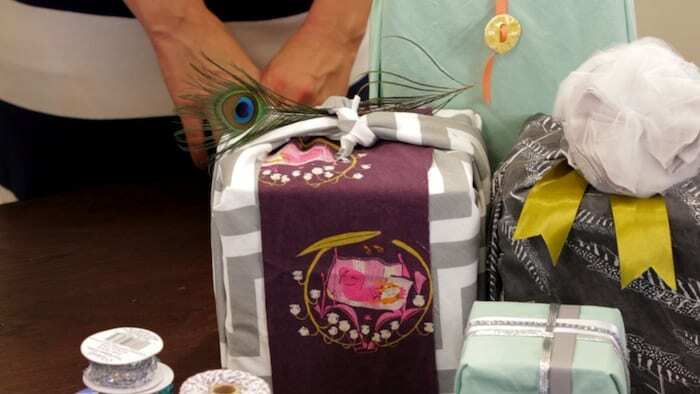 Next up on Prudent Baby Bow Week, we will show you the Japanese art of wrapping gifts with a square of fabric known as Furoshiki. 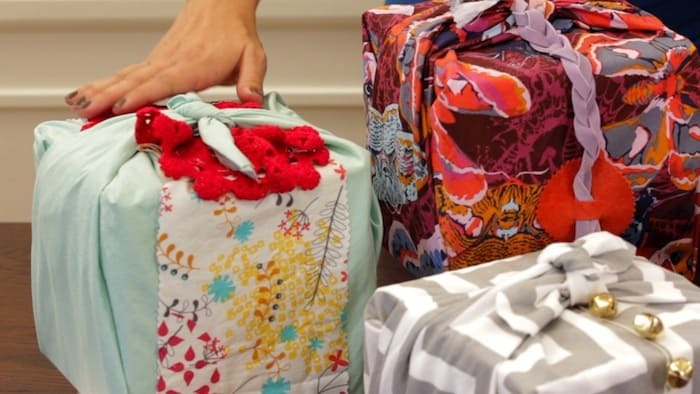 It’s a simple and lovely way to wrap any package. 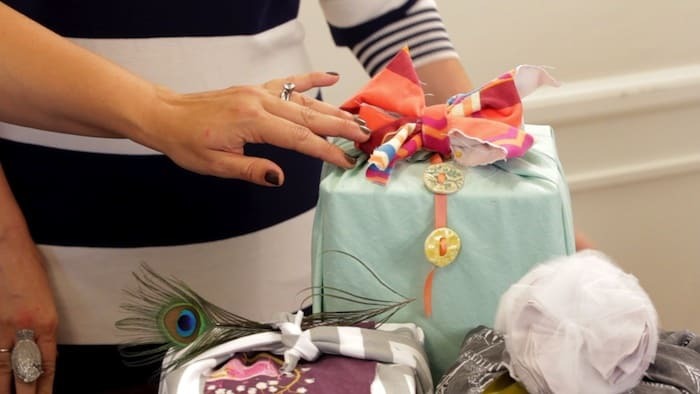 You can add any adorable embellishments, like a peacock feather, buttons, or DIY french poufs, to make the present pop. Subscribe to our Prudent Baby YouTube Channel for more easy holiday ideas, like How to Make a Living Succulent Tree or How to Gold Leaf Anything the Easy Way. 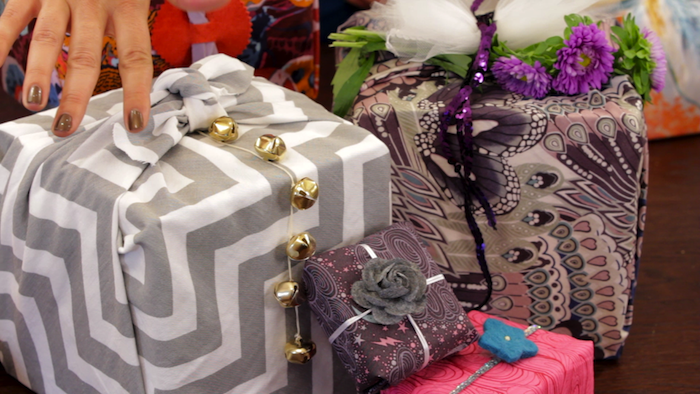 What embellishments would you add to your Furoshiki-wrapped gifts?